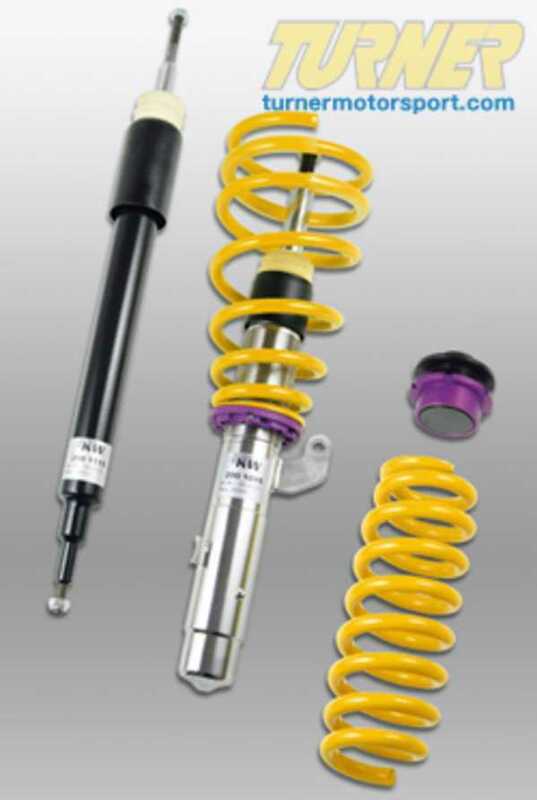 With the individual height adjustable KW street comfort coilover kit a lowering of 10-40mm can be realized, depending on the vehicle. This way the customer has the flexibility to improve the look, with consideration of bigger wheels and tires. At the same time the lowering has a positive effect on the driving dynamics and road contact. With discreet but effective lowering more spring travel will be left to combine a comfortable spring with harmonic damper, this way the best driving comfort is guaranteed. With this product KW offers the perfect compromise of driving dynamic and driving comfort.